The last few days has been full of Christmas preparations like decorating the Christmas tree, making gingerbread, arranging gifts and most importantly trying to relax and enjoy all of it. Although Christmas, or all holidays for that matter, is a lot more enjoyable when seeing it through a child’s eyes it also means ( at least to me ) a lot more activities. I want Iris to experience all the great stuff around the holiday and not to miss out on anything fun. But no matter how many things I would like us to do and no matter how many Christmas traditions I want to share with her I don’t want to forget what Christmas is all about. Of course this holiday have different meaning to different people but to me this holiday is a lot about family, giving, sharing, waiting and finally celebrating. I would like to regard Christmas with generosity and contemplation as well as a time to celebrate with my family and friends. And while contemplating the meaning of Christmas you surely need something delicious to fill stomach with. I like to prepare at least one dish with eggplant around the holidays. Preparing eggplant can be tricky. Cooked in the wrong way it doesn’t impress anyone but if prepared in the right way it is divine and right there on the top of veggies. 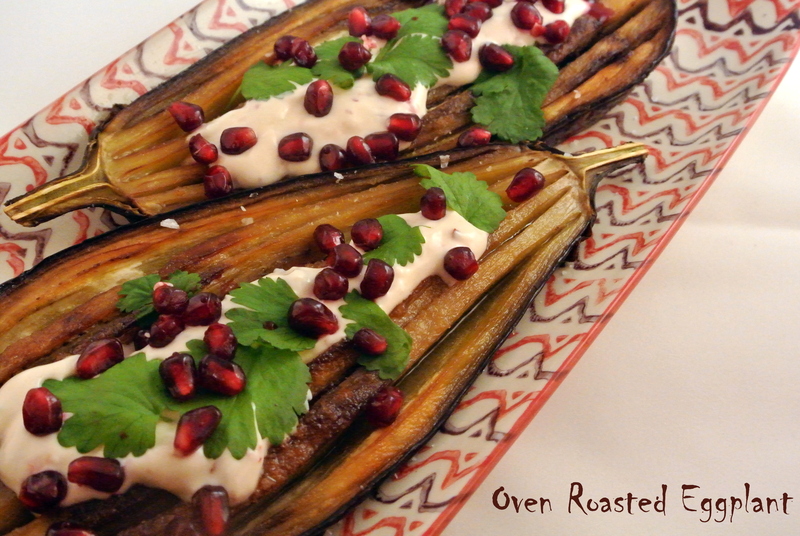 This recipe is easy and gorgeous, the eggplant will simply melt in your mouth. The secret of a successful preparation is a great amount of oil. But hey, holidays are not about counting calories are they? If you take the time to make oven baked eggplant you simply must accompany it with a sauce made of yoghurt, chili, lime and honey. It tastes incredible together! A small fist of cilantro leaves or parsley. 1. To make the yoghurt a bit thicker you pour it into a coffee-filter-dressed strainer and place all of it on top of a bowl. Liquid from the yoghurt will be drained into the filter and later into the bowl underneath. Leave it inside the fridge for two hours. 2. Heat the oven to 200°C/390°F. Cut the eggplant in half lengthwise. 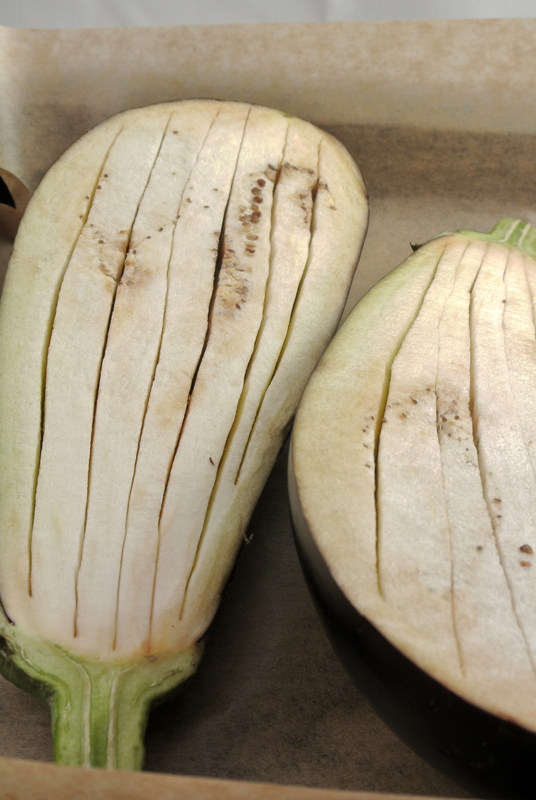 Cut into the eggplant, again lengthwise as in the picture above, leaving 1 cm between the cuts. When done divide all of the oil equally between the four halves. Use a brush doing so and make sure to also add oil inside the cuts. Sprinkle with salt all over the eggplant and bake in the oven for about 50 minutes. Make sure it is completely soft and tender all the way through the pulp before taking it out of the oven. The eggplant is favourably served lukewarm or at room temperature. 3. When two hours has gone take the yoghurt that is left in the filter and place it in a bowl and add the rest of the ingredients. Throw away the drained liquid or use it instead of water or milk when you make bread. Give the yoghurt a good stir and place one or two spoons of the yoghurt on top of the eggplant. Sprinkle pomegranate seeds and cilantro leaves over the eggplant and serve it together with a bowl of the remaining yoghurt sauce. Enjoy! This entry was posted in Main Course, Side Dish. Bookmark the permalink. Yes, this technique for to handle the eggplant is great! Thank you Ottolenghi! Eggplant is one of my favorite vegetables (zucchini and tomatoes are right beside eggplant). I would never have paired a yoghurt sauce with them, but your photo looks delicious! 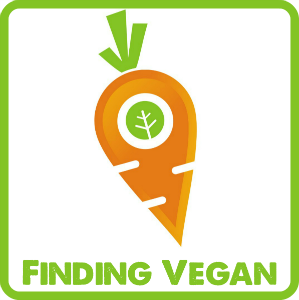 I will try this soon – nice blog!